When would you like to stay at Asmali Hotel - Check Availability & Room Rates!!! A traditional mansion in the heart of the city. 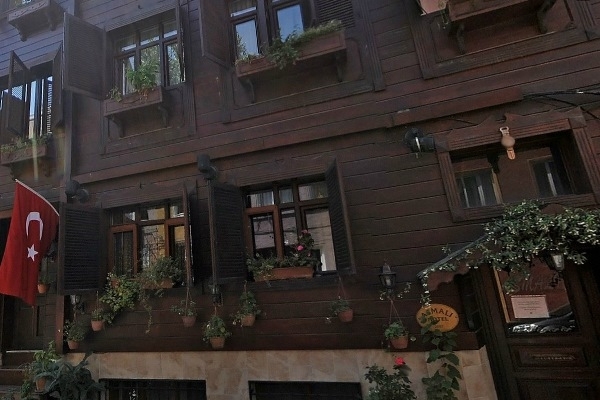 Asmali Hotel is boutique style hotel which has 15 rooms, well-decorated rooms, terrace with Marmara Sea and Blue Mosque view. You can feel like at home with traditional turkish hospitality.You can enjoy your breakfast in our terrace with beautiful view of the sea and Bosphorus. Our rooms are decorated with ancient Turkish style, pretty wide and comfortable with separated beds and sitting groups which was restored in 2007. Asmali Hotel located within walking distance to major sites such as Blue Mosque, Topkapi Palace, St.Sophia, Grand Bazaar. Welcomes all guest with Turkish hospitality. How far and How long will it take from/to the Asmali Hotel Istanbul from/to International Airports and cruise Ports. Istanbul Airport Transfer What time should I leave my hotel to catch a flight in Ataturk airport? How to meet at Ataturk airport Ataturk Airport Transportation Istanbul Airport Shuttle Is there any additional charge for my airport transfer service? Ataturk Airport-Lost and Found How to meet at Sabiha Airport How to get from cruise ports to the city? How to get from Ataturk airport to the city?